Well today's the day of the world pasty championships at the Eden project in Cornwall, and lots of people from all over the world are entering pasty varieties into the competition in their hope that they will win. With St Pirans day just around the corner you'd hope that the pasty that wins would be a very traditional Cornish style pasty, However local baker Ms Jones from The Cornish Food Box Company is currently trialing her creation of Squirrel Pasty!! I'm not sure i would like to try squirrel pasty, and definitely see the creatures as cute and certainly not food! 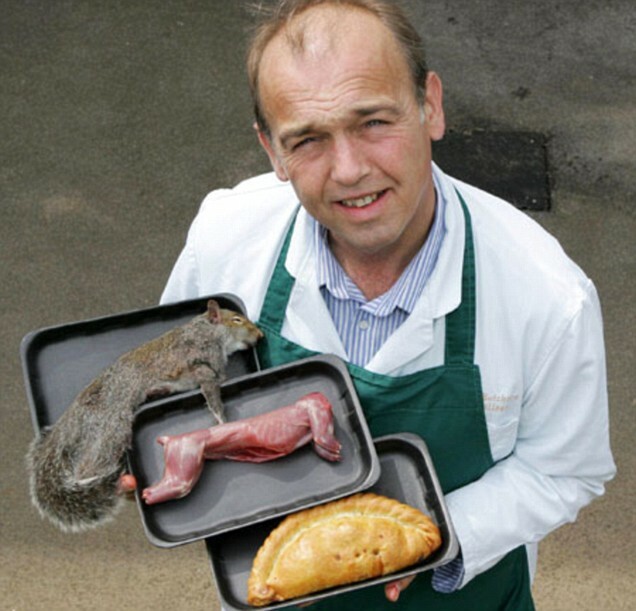 Would you eat squirrel pasty?